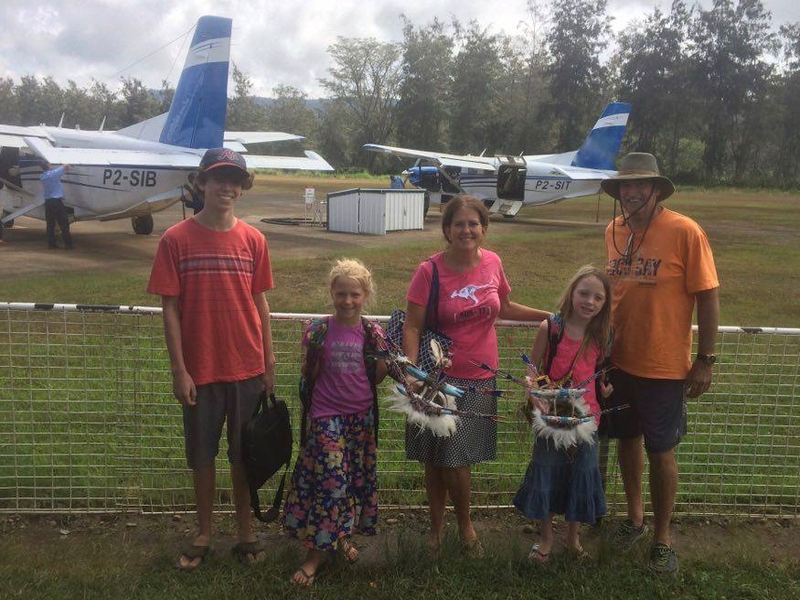 Warm, sultry air blankets the building but twenty-one Papua New Guineans from nine language groups inside are focused on learning about Paratext. This amazing computer program has the potential to transform their translation projects because it compares Scripture in several parallel languages and enables these translators to create an accurate and reader-friendly translation. Paratext also makes it possible to copy translated Scripture from one language into a closely related one, which greatly speeds up the Bible translation process. Francisca, a woman from the Suau language group, helps the main translators in her village and wanted to soak up as much information about Paratext as possible to carry back to her translation team. She and the other participants were so eager to practice the skills they learned that they were in no hurry to break for meals. 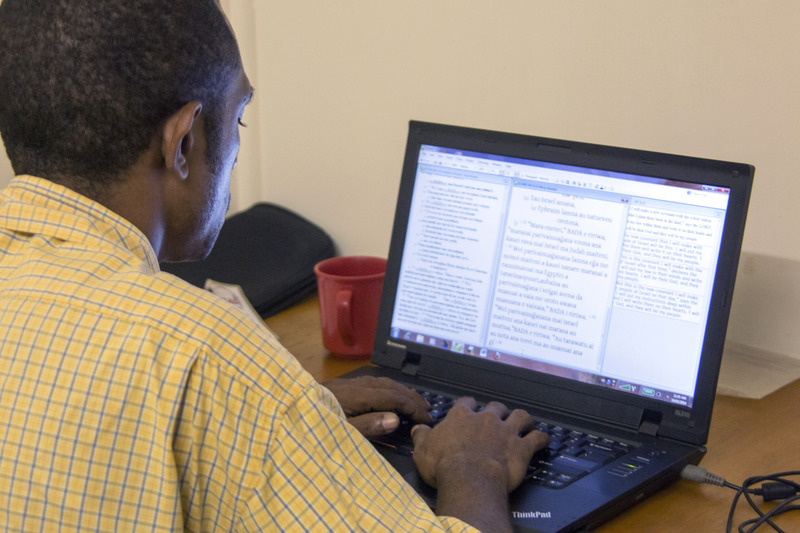 In every spare moment, Davidson, a participant from the ARE language group, worked feverishly entering his Bible translation work into Paratext. His willingness to spend every evening typing up his translation, even after immersing himself in new knowledge all day, blew Jenny LeMahieu, manager of the two-week course, away. Jenny also gave the participants half hour lessons every day on how to use the Scriptures so that the translations these participants spend years working on will squirm their way into people’s hearts and bear a harvest instead of just sitting on shelves gathering dust. Some of the participants were already using the translated Scriptures in their villages either by telling them in a story format, as Betty and Amy were doing, acting them out, or weaving them into songs, as three different language groups routinely did. After Jenny raised the question of where you can read the Scriptures, Mathaiyas decided it was a good idea to read them at home for family devotions. Vivian, from Ferguson Island, was so excited about the many possibilities of using the Scriptures that he couldn’t decide which form to choose during their graduation ceremony: “I’ll do a drama. Oh, but I want to do a hymn too.” He decided to do both, and his drama he illustrated that he was in the dark before he went to the Paratext course, just as his language group was in the dark without the Scripture. 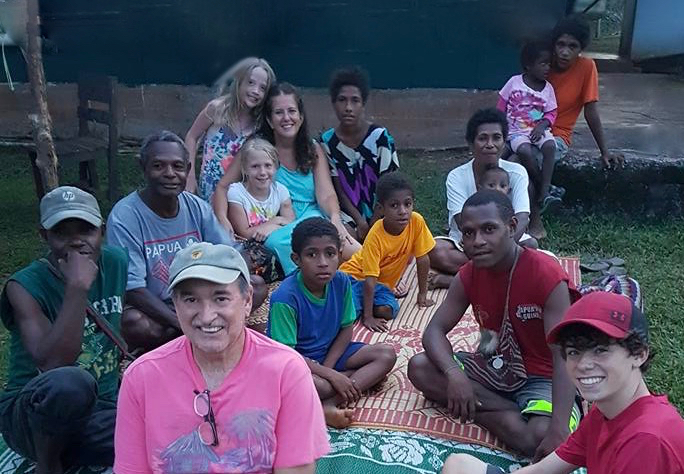 Thankfully, due to programs like Paratext and lessons about how to move God’s Word from the page into people’s hearts, more and more Papua New Guineans walk into the light every day. In the past, Angam allowed sin to rule his life. His actions were displeasing to God and to his wife, and in his heart he was angry and wanted nothing to do with worshipping God. In May 2016, Angam’s wife, Aikiba, attended a three-part women’s Bible study led by translator Annie Colich. After the first study, Aikiba showed him the Bible verse paper, but her husband just shoved it aside and wasn’t interested. After the second study, she again showed him the Bible verse paper and this time he accepted it. Reading God’s Word in his heart language for the first time touched him so deeply that he asked Aikiba if he could attend the third Bible study. He did come, but sat quietly in the back of the church. When Annie explained to the ladies about God’s mercy, tears began to trickle down Angam’s face as he understood the forgiveness Christ offers. Later he had a vision of evil wound tightly around his heart, and God breaking those chains and setting him free. A church elder heard about Angam’s new faith and asked him to preach from Luke 8. It was a passage about a demon possessed man who roamed the hills, naked, crazy, sleeping in the graveyard, held captive by Satan until Jesus Himself came and rescued him from evil. When Angam read that story he was deeply touched. He felt that he was just like that man, once held prisoner by the evil one and now set free by Jesus. Because of the changes in Angam’s life, the community elected him as the new translation committee chairman. Angam now travels to the island villages in his language area, telling what God has done for him. Because he represents the translation committee, the island congregations are now strongly supporting the translation work. 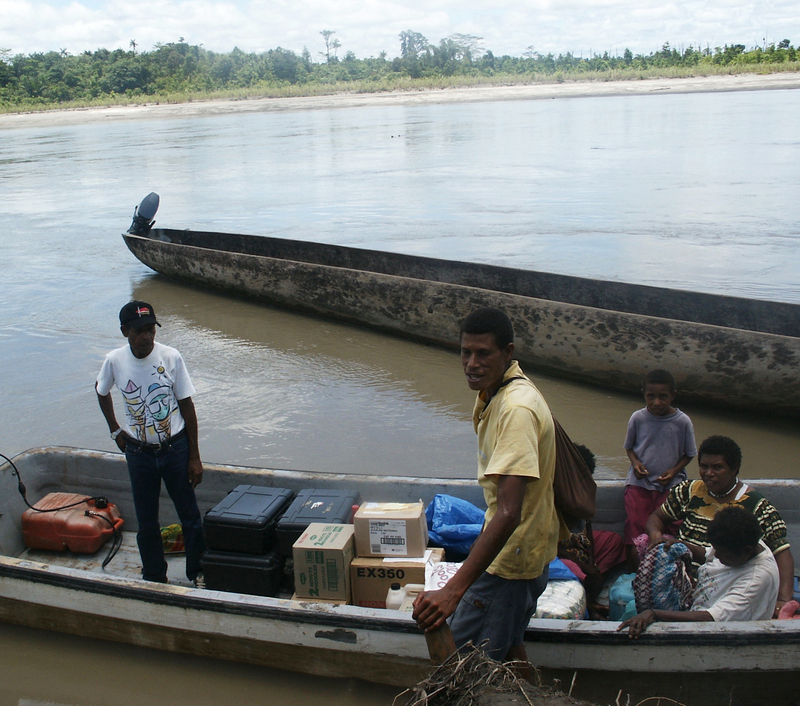 Deeply believing in what they do, Papua New Guinean audio technicians are volunteers willing to endure heat, challenging travel, and time away from their families just to get God’s Word recorded in the languages of the Islands Region. Pacific Area Media Trainers began with six trainees in 2013. Over the next two years, the number of trainees tripled as others heard about the work and wanted to learn the techniques of recording the New Testament and making it available on portable solar audio players and SD cards. The communities they serve are heavily involved in the process. The local community chooses and organizes the readers. They provide food and housing for the recording technicians while they are in the village. When the recording and production are completed, the community itself organizes the dedication celebration and the distribution of the audio Scriptures. The recording technicians have demonstrated their commitment by their willingness to travel in hazardous situations. Often they traverse oceans and rivers on small dinghies. One recording technician, Stanley, was on a boat that ran out of fuel and drifted on the open seas for 7 hours. When the craft was rescued and taken to shore, he searched until he found someone willing to transport him on another boat to his destination. “I don’t think you can use me. I’m not a carpenter. I’m not handy in any sort of way. I can only do one thing. I’m an accountant.” When Gil Turley spoke these words on the phone, he did not expect the overwhelmingly positive response he received. Less than a year previous to this conversation, Gil and his wife Kara had been preparing a program for young children at their church. For a fishing game, they needed the names of people who had served overseas. An online search not only gave the needed information for the game, but it subsequently led Gil and Kara to reading many missionary biographies. The more they read, the more their interest grew. After nine months, they realized they needed to act on this newfound interest. They called an old friend who directed them to a person who knew of the great need for accountants and was enthusiastic about Gil’s potential for service overseas. This representative from the personnel office was even more excited when he learned that Gil’s wife, Kara, had many years of experience in teaching middle school English, another much-needed role. Gil is just one of many who have thought, “My skills certainly can’t be used overseas.” But he found out that he was greatly needed. Maybe the talent you think is not useful could be an area where someone overseas is waiting for help. Perhaps God has a wonderful surprise in store for you, too. Nestled in the Aiyura valley, there is a branch headquarters an organization for Bible translation in Papua New Guinea. 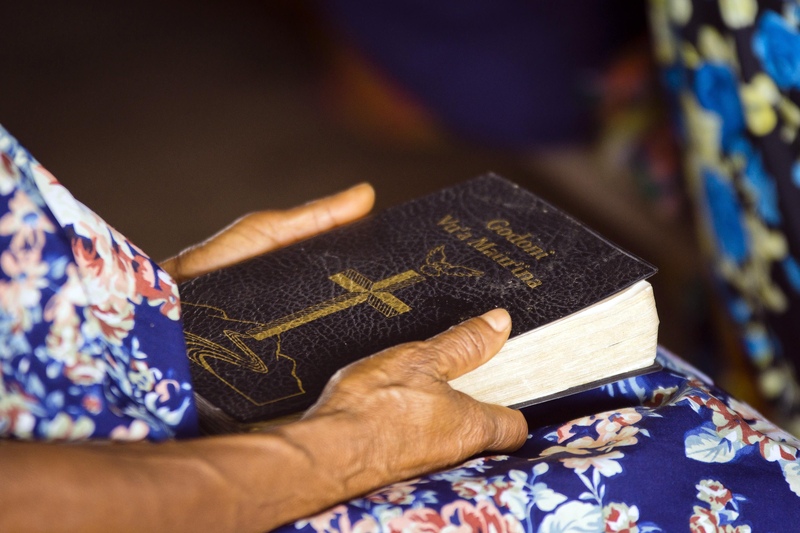 On any given weekday, a visitor will find men and women being trained in Bible translation methods and others checking and revising Scripture translations. They will most likely also find one or two teams in the midst of typesetting the New Testament for final printing. Surrounding them is a myriad of support people doing everything from handling shipping of goods, to teaching children in the schools, to directing finances and paying bills. Where does the energy come from to power the computers, the electric lights, the refrigerators, etc? For the past several decades, the majority of the power for our headquarters has come from Yonki Dam, a hydroelectric plant located about 45 kilometers south of the center. 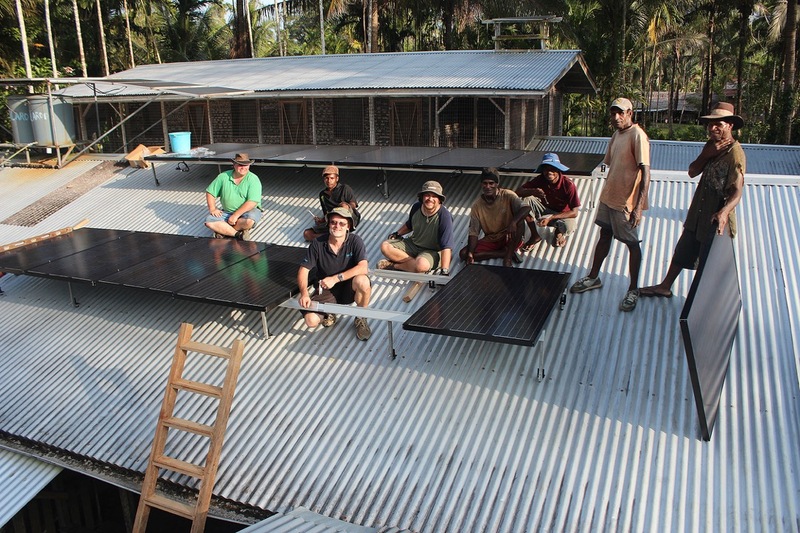 In villages it comes mainly from solar, and in our regional centers it comes from the city. However, in recent years a team of knowledgeable men been shifting the electrical supply to relying more heavily on solar power. This included installing and operating back-up batteries and generators to hold the power and to furnish power at nighttime. We are extremely grateful for those who pray. If you would like to know more specific ways to pray for people working in Papua New Guinea, you can subscribe to the PNG Prayerline. Knowing people are praying for us is what keeps us going!